AWAKENING FROM A FALSE OBEDIENCE - St. Paul teaches us that even if an Angel from Heaven would appear proposing a doctrine different from the Gospel, we should not follow him, but put him away (cf. Gal 1:8-9). This standpoint is not rhetorical. In Scripture an Angel is often the symbol of a Prelate, and the Apostle’s prudent advice has helped the faithful throughout History not to follow bad Bishops – either the heads of heresies or those complacent with them. From the data I am receiving, I am led to think that, observing due proportion, this advice can also be applicable within SSPX. A growing number of insider priests is taking a position of frank disagreement with their Bishops. So long as the latter seem to be approaching Rome and accepting Vatican II “interpreted under the light of Tradition,” the former are resisting their lead. No matter how many distinctions and sub-distinctions the Bishops present in order to justify their acceptance of the Council, these priests do not believe that such subtleties will prevent the assimilation of its progressivist venom. 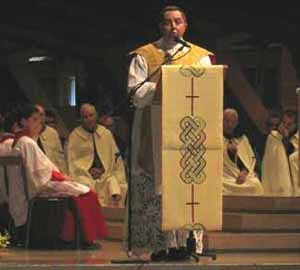 Instead of commenting on each one, I prefer to just briefly list the reactions of several of these priests in order to inform my readers of this justified resistance from within the SSPX ranks. An indignant pro-accord objector might bellow at me: “How dare you intrude into a terrain that is not yours, since you are not a SSPX member?” First, I am not an intruder since many of these people are also readers of the TIA website. Second, I am simply filling a lacuna. It is really surprising that an organization like SSPX which pretends to be open and honest is systematically preventing their grassroots from knowing what is going on inside their own walls. Their heads have established a draconian embargo over these news reports. Why raise such an obstacle except to lead as many persons as possible into accepting an eventual compromise? So, I believe it is my duty to help break this embargo. This is what I am trying to do. I do not feel comfortable seeing well-intentioned people being led where they don’t want to go for lack of information. Let me report in a few words some cases that have occurred inside the SSPX and come to my knowledge. I received this information from my readers or a number of websites of varying degrees of seriousness. Then, I checked the veracity of each case as far as I could. 1. Fr. Floriano Abrahamowicz, superior of branch of the organization in northern Italy - He was expelled from the SSPX (February 6) under the charge of grave disobedience for having given an interview to the Tribune of Treviso on the Nazi’s killing of Jews (January 29). His interview (read the text in English here) was serene and logical. Nothing particularly imprudent was said, as far as I can see. Notwithstanding, he was expelled. “The ones who revoke the pseudo-excommunication ‘have already been excommunicated for a long time. Why? Because they are modernists. It was the modernist spirit that made a church according to the spirit of the world’ [Msgr. Lefebvre]. Indeed, the grand commander of this action is Joseph Ratzinger who imperturbably continues the modernist ecumenism of Vatican II, which he describes as ‘an indispensable lighthouse,’ thus incurring the excommunication of St. Pius X reserved to the modernists. One who is excommunicated revokes the non-existent punishment! “All this said, I stress that as a lifetime member of the SSPX, I reject the demand to accept the present decree, which inevitably leads to a de facto union with the conciliar Church, condemned by the Catholic Church. A traditionalist Catholic CANNOT either demand [acceptance] or agree to such a decree, much less hug and embrace its authors, letting it be understood that this is a gift from Our Lady. The weight that this sermon had in his later expulsion remains open to speculation. 2. Fr. Basilio Méramo, prior of Orizaba, Mexico - After delivering a heated sermon against the alleged compromise of the SSPX superior with the Vatican, and writing two open letters (we translated one and posted it here), Fr. Méramo was expelled from the organization on April 7. I do not know the text of the decree, but its content can be easily induced by reading a new and interesting letter the priest wrote to Bishop Fellay on April 9, which we plan to translate and offer to our readers soon. 3. Fr. 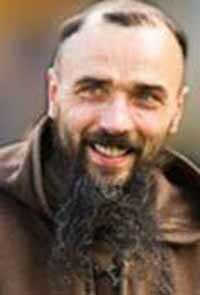 Jean de Morgon, Capuchin superior of the St. Anthony Aurenque Convent, France - Fr. Jean de Morgon confronted Bishop Fellay at a meeting in Paris regarding his serious concerns about concessions being made by the SSPX heads to “modernist Rome.” He was ordered by his superior to apologize, which he did, but he added a letter explaining his reasons for his opposition. In that letter [excerpts of it were published on our site here], it is clear he has no illusions that this action could result in his expulsion from the organization - or something worse. Prior to this, in 2005, Fr. 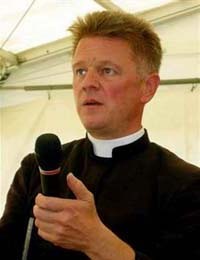 Beauvais had been ordered to be silent after he denounced the supposed intent of Pope Benedict XVI to mislead the SSPX in order to destroy the organization. His sermon was recorded and filmed by reporters of Radio Europe 1 who were present at that Mass. 5. Fr. 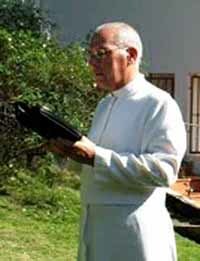 Juan Carlos Ceriani, pastor at Fort de France, Martinica - He rejected the decree lifting the excommunication of the four Bishops. Issuing an appeal (January 29, 2009) where he quotes many texts of the SSPX heads advising an action opposite of what they are doing now, he tried to persuade Bishop Fellay and the other three Bishops not to accept the Vatican decree. In a letter addressed to all the priests, Fellay responded that that he would accept the decree as it was offered. In face of this refusal, Fr. Ceriani sent his Appeal to all the priests of SSPX with an introductory note (February 3, 2009), which was placed on the Internet. Fr. Ceriani explains in a note that he is referring to the turn-around of Msgr. Lefebvre who, on the night of May 5, 1988, reconsidered and rescinded the acceptance he had made the day before, signing a protocol in the Vatican. An English translation of this appeal can be found here. These are some incidents I want to pass on to my readers so that they might objectively follow what is going on regarding a possible compromise of the four SSPX Bishops. I believe it is important to keep in mind the counsel of St. Paul, and to reject anything that is against our Holy Faith.